This is not a ranking, our aim is to highlight your contribution not matter how small or large and foster strong ties between countries. Please let us know in comments below who else should be on this list, we will be glad to add your name. Ashutosh Sharma is a secretary at Department Science and Technology (DST). He gave information about National Initiative for Developing and Harnessing Innovations (NIDHI), an umbrella program for cultivating ideas and inventions which are knowledge-based and technology-based into fruitful start-ups. 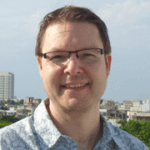 Dr. Daniel is the point of contact at Deutsche Forschungsgemeinschaft (DFG), German research foundation. DFG along with Department of Science & Technology in India strive to enhance prospects for collaborative activities between Indian and German investigators. 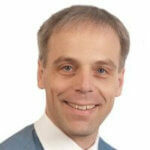 Dr. Jörg is the Person in Charge of German Research Foundation in India. 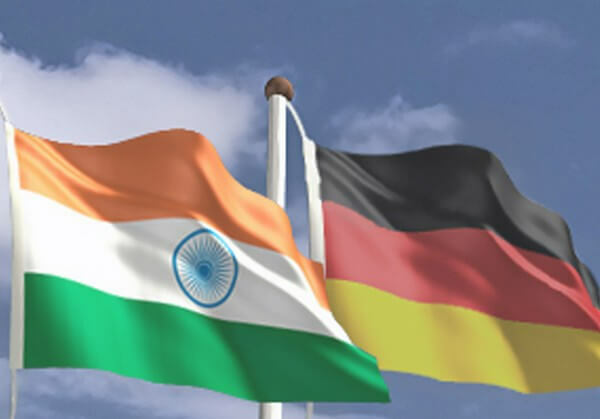 DFG India provides information to the scientific and educational groups which enable funding opportunities for bilateral collaboration between India and Germany. Dr. Chandaram Sivaji is the principal point of contact at Department of Science and Technology in India. 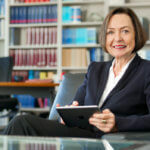 Dr. Margret Wintermante is President of the German Academic Exchange Service (DAAD). She is the chairperson of the Executive Committee and formulates its discussions and resolutions, and ensures their execution. Dr. Joybrato Mukherjee is a Professor of English and President of the University of Giessen. He has been Vice-President of the German Academic Exchange Service (DAAD) and part of most significant funding organizations for the global exchange of students and researchers. Renate is a point of contact at The Max Planck Center, which is an Indo-German center for research on lipids. Scientists at the center are aiming to conduct a complete survey of lipids in various cells and organisms. 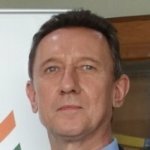 Dr. Dietrich Kebschull is a chairman of IEGP Foundation, which endorses Indian exports to Germany. 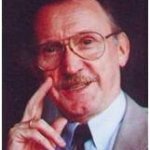 He is specialized in the areas of foreign trade, developing nations, and global marketing. Martin is a Managing Director at CONSULTINGHOUSE. Consultinghouse connects people from around the globe who have similar objectives in expanding their business affiliations within and across European markets. Consultinghouse supports and helps foreign companies to run your business efficiently in Germany. Mr.C. 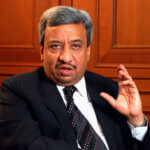 S. Mathur is the President of Indo-German Chamber of Commerce. 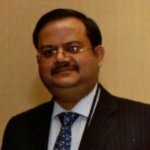 He also serves as a board director of the several Indian subsidiaries of European firms and speaker at various national & global forums. Mr. Bernhard is Director General Indo-German Chamber of Commerce. 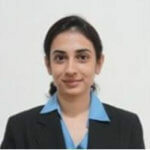 Radhieka Mehta is Director of Indo-German Training Centre. She has been instrumental in enhancing cooperation and nourishing active networks with significant German official groups such as DIHK (German Chambers of Commerce), German Embassy, German Consulate General in Mumbai, Goethe Institut, BMBF, and GIZ, etc. Under her guidance, Indo-German Training Centre has placed as the best management training and recruitment firm of the German organizations in India. Deepika is the Indian Representative of Berlin and Hamburg Fairs at Indo-German Chamber of Commerce. I have over two decades of experience in assisting international and Indian companies in increasing their growth. 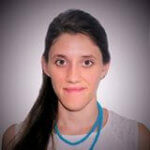 Hannah is Project Manager at Hamburg Business Development Corporation. 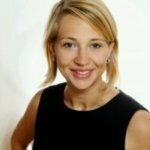 She has been involved in consultation for businesses in Hamburg & India and assists with investment and collaboration related issues. Hannah has also worked as Intern at Indo-German Chamber of Commerce. 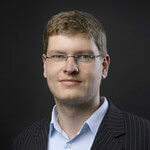 Thomas Breitinger is Senior Project Manager at Maier+Vidorno Group. He focuses on business development activities for companies who wish to do business in India. 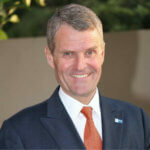 Thomas handles organization and implementation of targeted customer engagement to provide investment projects in India. He also prepares and implements tailor-made practice seminars for various organizations. 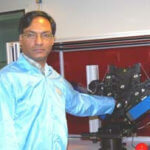 Mr. Vinod Kumar is a Director at Indo-German Institute of Advanced Technology (IGIAT). IGIAT is a pioneer training organization with the objective of enhancing the skills of professionals working in industries, teachers & trainers of Technical Institutions. IGIAT was established as one of the most important initiatives taken up under the Indo-German Technical collaboration between Government of Andhra Pradesh and Government of Germany represented by GTZ in connotation with Gayatri Vidya Parishad. 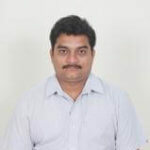 Anand is a Director at Ace Business Solutions. 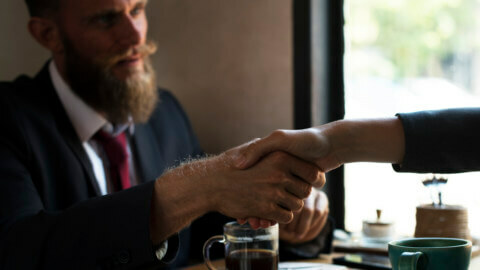 They provide end-to-end assistance for many small and medium enterprises in making a market entry in the Indian market. Mr. Pankaj Patel is the President of FICCI, which is largest & oldest business group in India. FICCI provides an important platform for Legislators from India and Germany to strengthen and develop the India-Germany relationship through the informal initiatives. 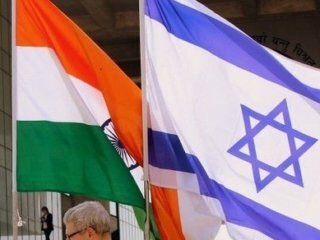 It helps to speed up bilateral exchanges, work towards identifying and abolishing hurdles and check for strategies that would foster better cooperation between two countries. 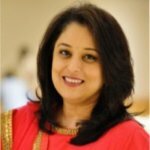 Ms. Shobana Kamineni is President of Confederation of Indian Industry (CII). CII organizes several trade fairs, business conferences and international trade delegations for further increasing the scope of economic and industrial association between the two countries. CII has taken numerous initiatives to connect Indian business with global business. India-Germany Business Roundtable in October 2015 and CEOs’ delegation to Germany are some of the notable initiatives managed by CII. 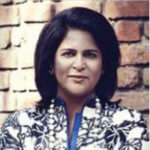 Heena Nazir is the Director at Germany Trade and Invest (GTAI). Germany Trade & Invest is the foreign trade and inward investment organization of the Federal Republic of Germany which notifies and advises international companies in setting up business in Germany. 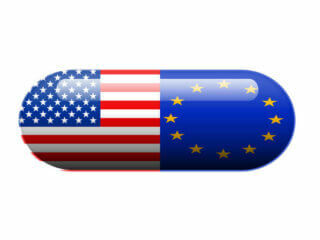 GTAI also provides companies based in Germany with global market information. 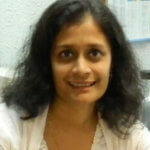 Ms. Nandini is a Network Manager at GIZ India. GIZ India and Alliance for Integrity has held discussions on opportunities and challenges for companies operating in India including corruption. Alliance for Integrity (AfIn) is a business-driven program between multinational corporations, civil society, and political organizations which seek to encourage integrity among enterprises, their business partners and other associates. 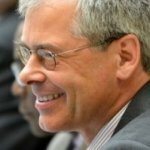 Wolfgang Hanning is a Country Director at Gesellschaft für Internationale Zusammenarbeit (GIZ) GmbH. GIZ has been working together with associates in India for sustainable economic, ecological, and social growth. GIZ supports key initiatives of Government of India like Clean India, Smart Cities, and Skill India and provides tailor-made solutions to meet local requirements and achieve sustainable and inclusive development. Paras Gupta is a research analyst at Konrad Adenauer Foundation. 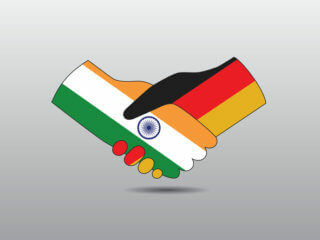 Konrad provides a medium for the exchange of ideas and understandings through high-level bilateral and international dialogues on mutual interest of Germany and India. It cooperates with governmental institutes, political parties and civil society establishments for building strong partnerships. 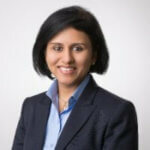 Disha Shah is Director at FrankfurtRheinMain GmbH. She is the point of contact for Indian industries and investors who -are looking to set-up their businesses in the FrankfurtRheinMain region. Disha is also involved in international marketing and investment promotion organization of the greater Frankfurt region in Germany. Tanaya Gupte is Manager DE Services at Indo-German Chamber of Commerce. Indo-German Chamber of Commerce was established in 1956 and is a primary contact for Indian and German firms who want to start their business ventures with the respective another country. 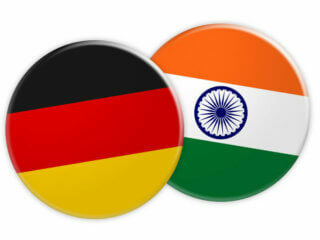 The Chamber improves the bilateral economic collaboration between India and Germany. 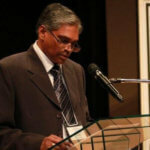 Sharon Mogose is the SES representative in India. Senior Experten Service (SES) is the leading German enterprise for voluntary projects carried out by retired professionals and executives. SES organized a program on German Expert Services for MSMEs (Micro, Small & Medium Enterprises) in alliance with Chamber of Industrial and Commercial Undertakings (CICU). 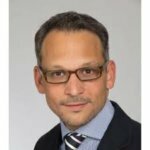 Mr. Larissa Wood is Regional Head India at Frankfurt School of Finance & Management. It is a research-led business school specialized in business, management, banking, and finance. Frankfurt School acts as adviser, educational partner to businesses and organizations, to individuals embarking on new careers, and to experienced executives. Mr. Lukas Schmitz is a Hamburg Business Manager and Hamburg Representative in Mumbai. The overall aim of the Hamburg representative office is to foster business, cultural exchange and relationships between India and the City of Hamburg. 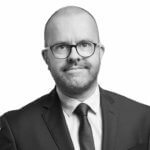 Tarik Cavus is International Sales Coordinator at Hamburg Messe, who keeps exclusive contacts with relevant economic sections globally and with a large number of foremost authorities, including the media. Trade shows and events organized by Hamburg Messe concentrate on the business groups that are well-established in the metropolis on the Elbe River, Hamburg. This event provides guidance and advice for companies who want to establish a business in Germany in collaboration with Indo-German Chamber of Commerce. Mr. Carsten Schneider is Managing Partner at Osborne Clark, which helps Indian companies in establishing business operations in Germany and other European countries. 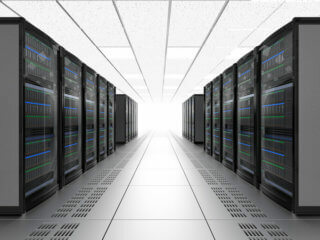 They specialized in advising leading market players in the digital business; we have specific solutions in all aspects of technology-driven business models. 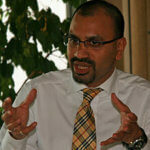 Vikas Jain is the President of Indo German Business Development Association (IGBDA). IGBDA is a platform for promoting Economic and Business relationships among India, Germany, and other countries. It is a group of companies and individuals who have joined in Indo German Manager Training Program or are interested in increasing Economic and Business relations in India or Germany. 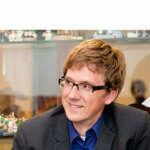 Dr. Christoph is External Visiting Professor at Indo-German Centre for Sustainability, Chennai. He focuses on the International development and specific research matters of sustainable urbanization, climate change, and disaster risk mitigation. Dr. Dirk Frohling is Chairman of Indo-German Center for Higher Education. IGCHE is an association of German universities currently led by Bochum University of Applied Sciences. All IGCHE universities endorsed for ensuring high-quality education and have a strong global focus. 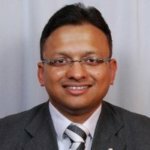 Krrishan Singhania is the founder of Singhania & Co. 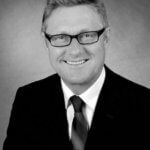 He is specialized in the field of arbitration and has rich exposure to various law seminars and legal practices acquired through affiliations in global law groups and associations. He regularly presents lectures on Indian law and regulation in international conferences and events. Singhania & Co. specializes in counseling international companies on establishing a business in India. Anil is the primary contact person at EZYBIZ India. EZYBIZ India provides one window solution to businesses in areas of setting up their operations, getting sanctions from regulatory officials, getting registrations, advisory, and compliance on tax-related issues. 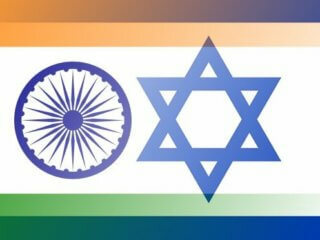 India Israel collaboration 26 important organizationsGoogle Glass & its healtcare applications | Will it succeed?